KOCHI: Heritage Motor Show kick started at DurbarHall ground. 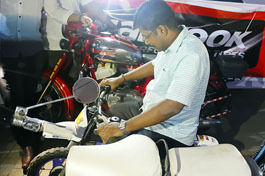 District Collector Sri.Rajamanikyam Inaugurated the Motor Show.Motor Show Organized By Cochin Vintage Club(CVC) in association with DTPC, Ernakulam. The show will be a curtain raiser for the DTPC onam event 2015 which starts from 25th August and lasts till 30th August. 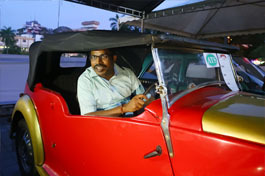 In the show a wide range of about 50 classic vintage cars and 35 bikes / scooters are showcased . Pontiac Chieftain 1951, Dodge Kingsway, Singer, Ford Fairline, Enfield Fantabulus Scooter 1966,Honda Tact Scooter are the Show stoppers of the motor Show.The Motor Show is Open to the Public free of Cost..show will end on Sunday at 7 pm.